With the easy cinnamon rolls recipes found in our Slow Cooker Homemade Cinnamon Rolls: 8 Easy Cinnamon Rolls Recipes collection, you'll be in possession of some of the best slow cooker breakfast recipes around. These sweet recipes will be your saving grace during holidays or whenever you have company over, because it's easy to make a batch that will feed a crowd with minimal effort. Plus, who doesn't love a freshly-"baked," warm and gooey cinnamon roll first thing in the morning? Below are recipes that will reacquaint you with one of your favorite guilty pleasures. Eggs and bacon are nice, but sweet baked rolls with melted, buttery cinnamon and sugar on top are a thing of beauty that we are lucy enough to get to call breakfast food. Don't be a fool - take full advantage. These slow cooker breakfast recipes for homemade cinnamon rolls come in all shapes and sizes, and are sure to please kids and adults alike. Whether you're making breakfast for a busy holiday morning, like Christmas or Easter, or simply treating your family to a sweet weekend breakfast, we're sure there's a recipe in this collection for you. The best thing about cooking these recipes in your slow cooker, is that you won't have to worry about burning your pastries or having them dry out from the heat of the oven. If you're not strapped for time, set your slow cooker to LOW, and you'll have much more control over the baking process. 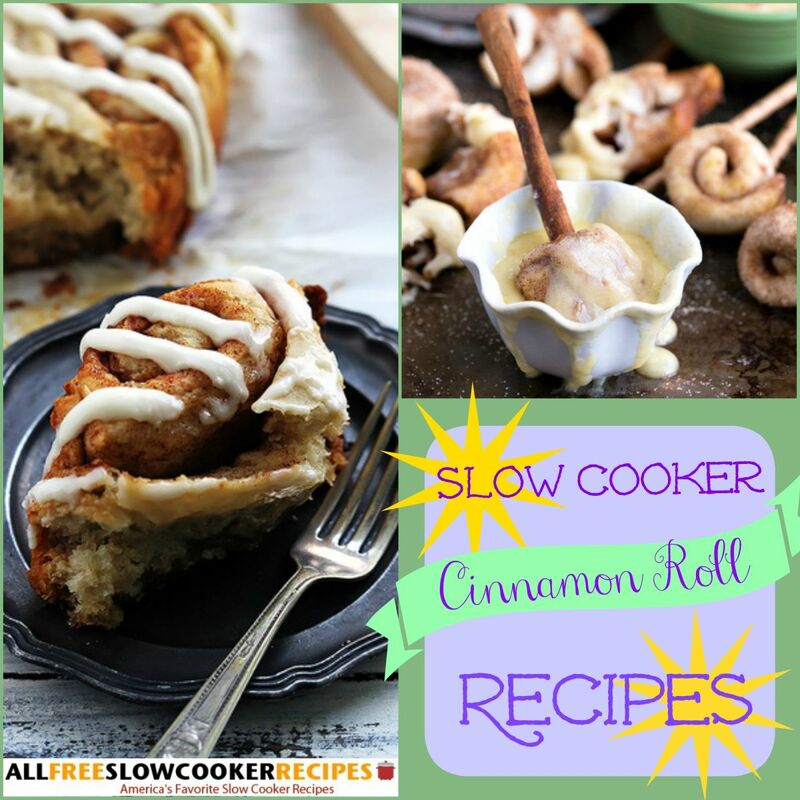 The deliciously-sweet slow cooker breakfast recipes in our collection, Slow Cooker Homemade Cinnamon Rolls: 8 Easy Cinnamon Rolls Recipes are just what you need to start your day off on a high note. When you're looking for easy slow cooker breakfast recipes to make on holidays and other special occasions, it's good to have a guide. Download, "Mother's Day Ultimate Breakfast: 12 Mother's Day Recipes for Breakfast" free eCookbook today! For even more slow cooker breakfast recipes your family will beg for, try our collection, 28 Slow Cooker Breakfast Recipes to Start Your Day.